The Roy 1500 is a general purpose induction heater that is designed to heat metals without contact. It's power output is fully adjustable. 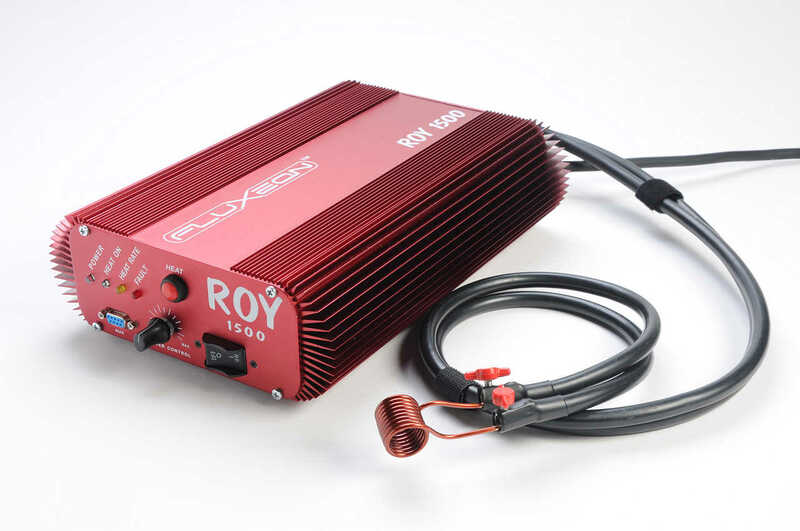 Roy heats with high frequency electromagnetic waves. These waves are similar to the ones that bring you radio and TV, the only difference being the frequency involved. Roy can do most jobs that a torch can do but does it without flame or safety hazard. It features comprehensive microprocessor protection against damage from overload or misuse. The 'soft limit' system gently notifies the user when the unit is overloaded or too hot. The Roy simply won't LET you break it! It operates on ordinary 120 volt line current. The Roy 1500 comes with a 1-year limited warranty.